Hi, I’m Madoka from the Onboarding Team! In Japan, we have a culture of bringing souvenirs, or “omiyage” in Japanese, to the office after coming back from a trip. 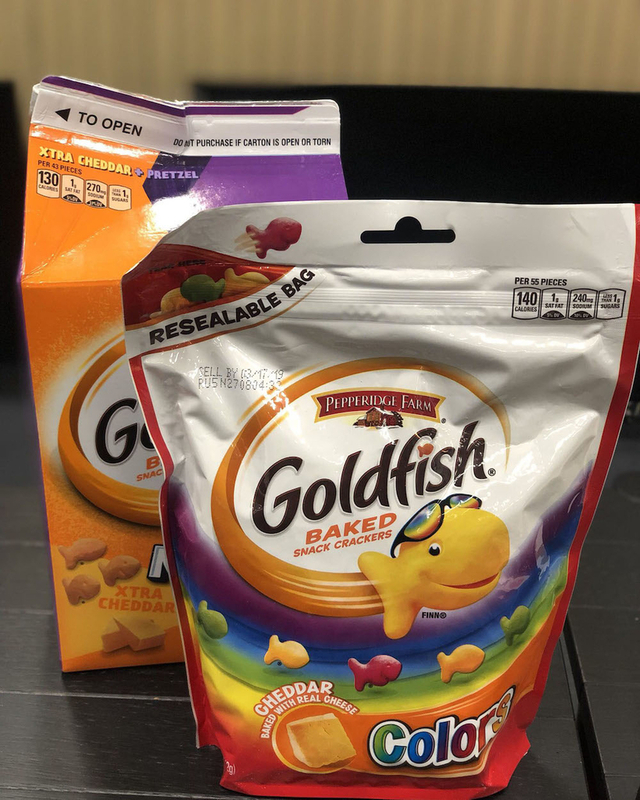 After the winter holidays, the Mercari Tokyo office, with members from over 30 countries, is loaded with snacks brought back from all over the world! Today, I thought it might be interesting to share the different “omiyage” brought from our members’ home countries. Here are some of my favorites! 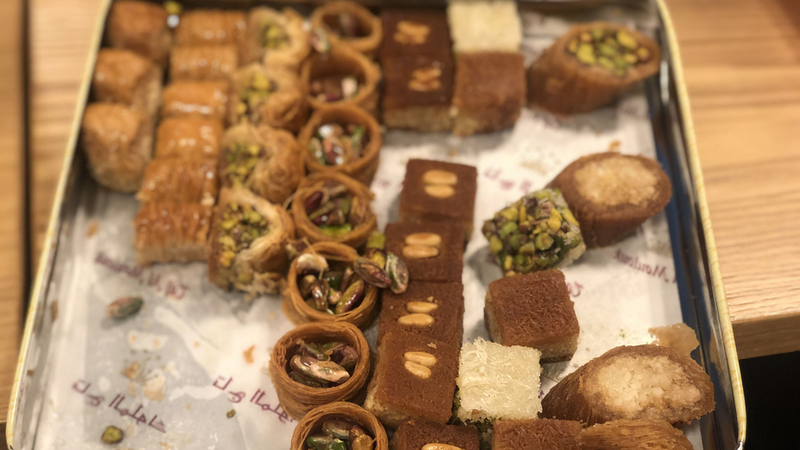 Bite-size pastries from Lebanon! You can’t find these in Tokyo. Too bad, because they’re delicious! 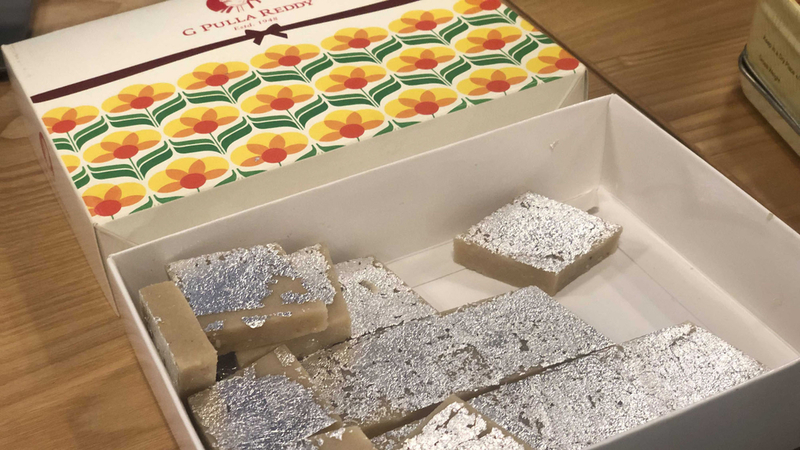 These beautiful Indian sweets, called Kaju Katli, are made of cashew nuts and thickened milk and decorated with edible silver foil! 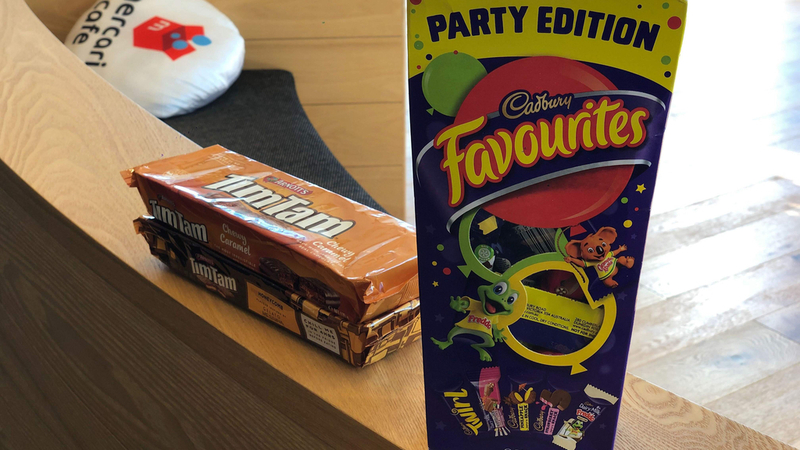 One of my personal favorites: Tim Tams and chocolate from Australia. 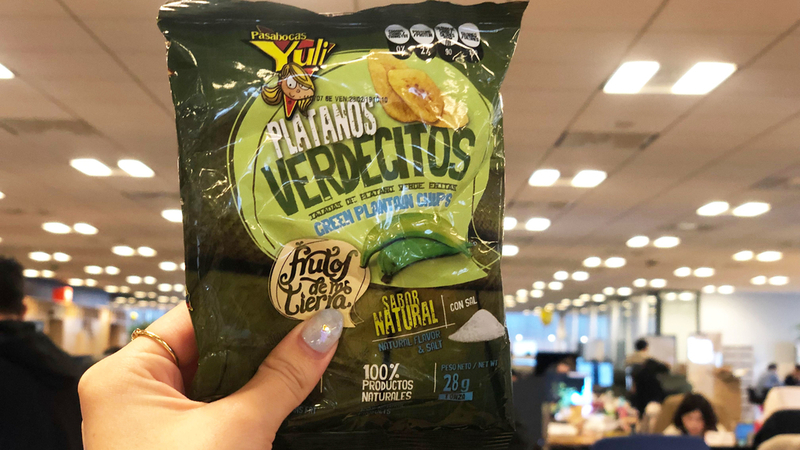 Salted green banana chips! They taste a bit like potato chips but better! 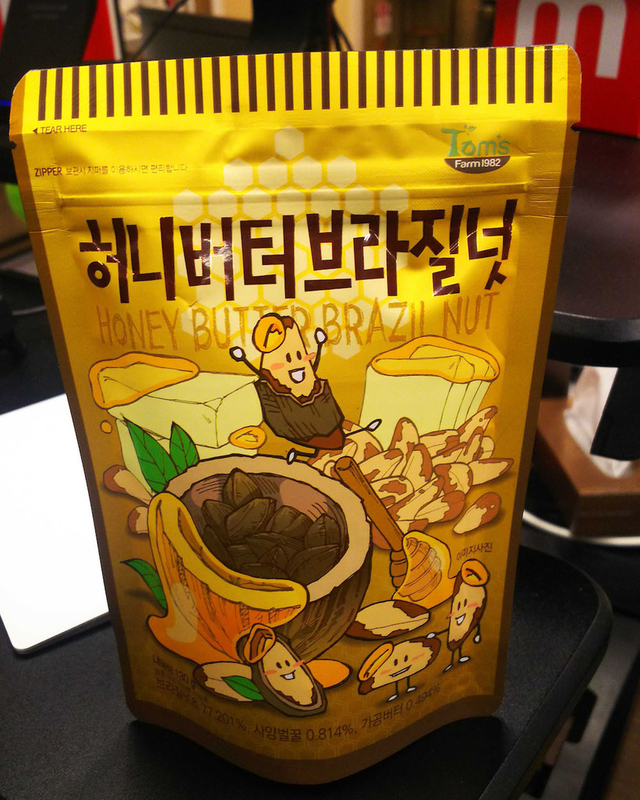 A perfect combination of honey and butter flavors; they’re super delicious! Do you have an “omiyage” that you secretly look forward to when people you know travel? One of the perks of working at Mercari is that you get to learn about new (and delicious) pieces of culture from all over the world.